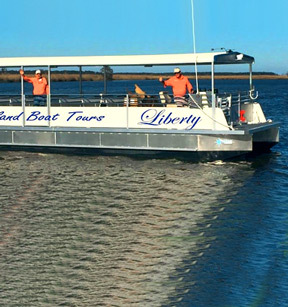 Trolley tours, walking tours, ghost tours, dolphin tours, culinary tours, swamp tours, brew tours – there’s no better way to immerse yourself in Coastal Georgia than taking a tour or two. 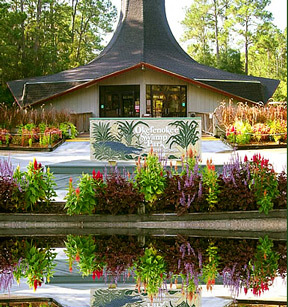 Whether you have a guide to tell you stories of our people and places, or you explore on your own with a book or brochure to fill in the details, Coastal Georgia has tours sure to appeal to many interests. 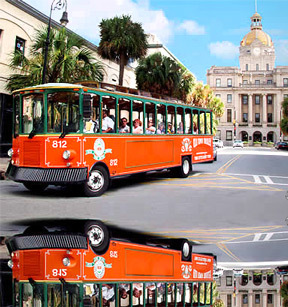 Since 1995, 6th Sense World has been offering the best walking Ghost Tours in Savannah, Georgia. We're bending minds seven (7) nights a week. Tour services for all the U.S. and Canada that are affordable, complete and customized with wow factors that create fond memories. 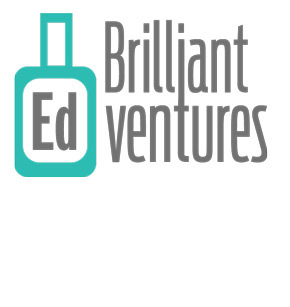 Plan and manage your entire tour with one service. 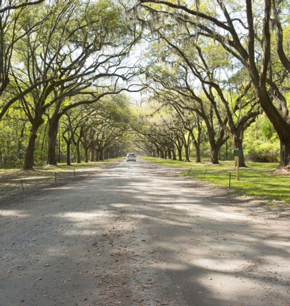 This park is the perfect spot for enjoying the Intracoastal Waterway and maritime forest. A boat ramp is popular with anglers, and the park's nature trail winds through forest and salt marsh. 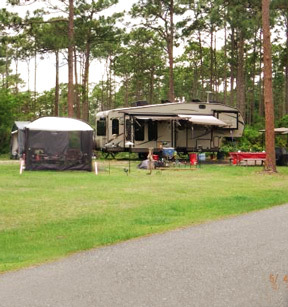 Rental cabins and campsites are available for longer getaways. 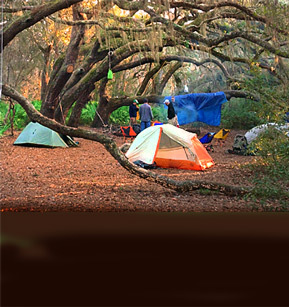 Nearby is famed Cumberland Island. 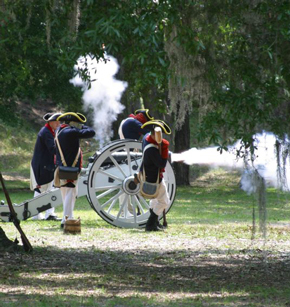 Visitors to Fort King George can explore many re-created buildings, including a blockhouse, officers' quarters, barracks, a guardhouse, moat and palisades. 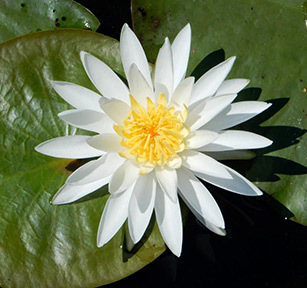 A nature trail highlights beautiful low-country scenery. When the Continental Congress convened in 1776, delegates recognized the importance of a fort to protect their seaport from the British. Soon afterwards, Fort Morris was built on a low bluff on the Medway River. Fort Morris Historic Site tells the story of a Revolutionary War-era fort that once protected a growing U.S. seaport from the British. 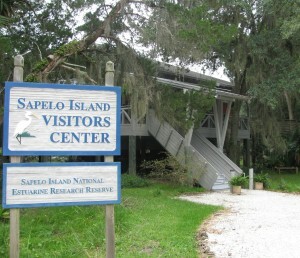 Visitors can tour a museum, nature trail and fort remains. 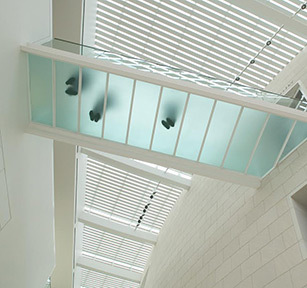 Learn more about this architectural gem, designed by Moshe Safdie, which opened to the public in 2006. 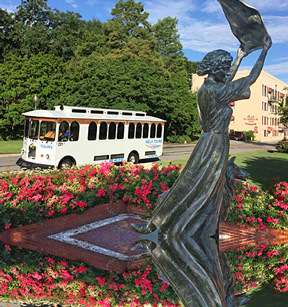 Offering comprehensive Destination Management Services, Kelly Tours operates 52-passenger motor coaches, the K-Shuttle ? 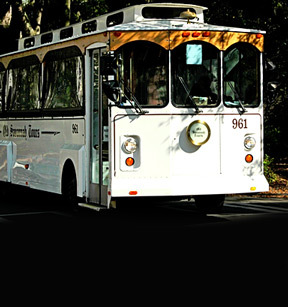 official shuttle service for the Savannah/Hilton Head Island International Airport ? with 12-14 passenger Mercedes sprinter vans, and Kelly Executive Travel's late model Lincoln Town Cars and professional chauffeurs. Offering the St. Simons Island Lighthouse Museum and A.W. 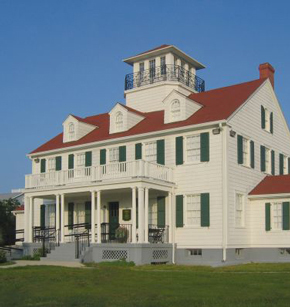 Jones Heritage Center, along with the Historic Coast Guard Station at East Beach, the Coastal Georgia Historical Society shines a light on the seafaring history of this coastal barrier island. The Midway Museum is the home to a prodigious collection of heirloom furnishing, paintings, artifacts and historical documents as well as genealogical books of reference that many prominent families and their ancestors donated from the colonial period. The northern entrance to the "Land of the Trembling Earth" allows you to explore by guided boat, walking and railroad tour. Get a bird's-eye view by climbing a 90-ft. observation tower. 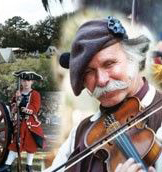 Come join us for a fun and entertaining interactive experience with some of Savannah's most historic and interesting "characters." 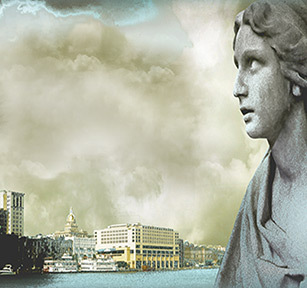 You may meet Savannah founder, General James Oglethorpe, the "Countess" of Savannah Julia Scarborough, famous Savannah architect William Jay, or a host of other prominent and notable Savannah citizens. 250 Martin King Luther Jr. Blvd. Savannah's original ON/OFF historic tour. 100% Money Back Guarantee. 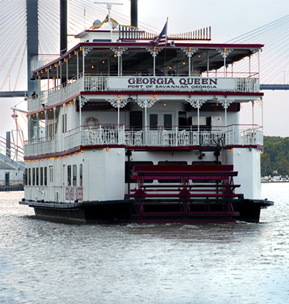 The only tour company endorsed by Historic Savannah Foundation. Environmentally friendly! Ask about Ghosts & GravestonesSM and The Paula Deen Tour. 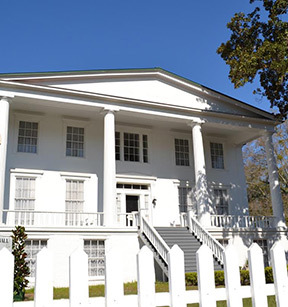 This Antebellum mansion, Circa 1830-38, is open for tours daily. View three floors housing an Austrian and a Tiffany crystal chandelier, an elegant staircase, and unique antiques. 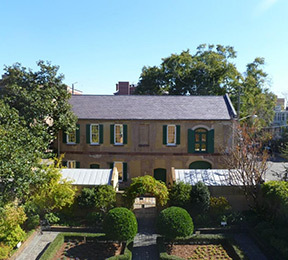 The Owens-Thomas House offers a glimpse into the vibrant city of Savannah in the early 19th century. 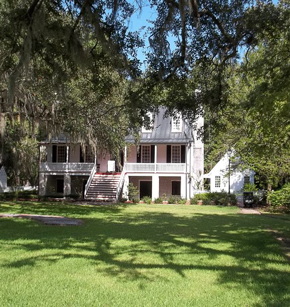 Come for a tour of the house, garden, and carriage house, which includes urban slave quarters, to step back into the stories of the historic occupants of our city. 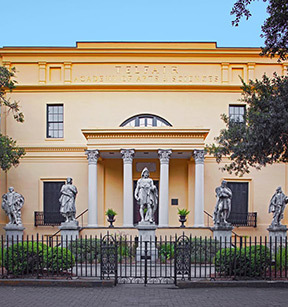 Learn about the incredible story of the transformation of the Telfair family mansion into the oldest public art museum in the South, which opened its doors in 1886. 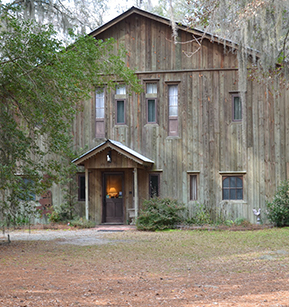 After touring Wormsloe's museum, visitors can explore trails on their own or sign up for daily guided tours to see Georgia's oldest tabby ruins, a reconstructed Colonial Life Area, nature trail and salt marsh.